:: clevergirl.org ::: 117. First Men's Dress Shirt Refashion Tutorial! 117. First Men's Dress Shirt Refashion Tutorial! I got really good results viewing the tutorial when I clicked play below, then clicked on the fullscreen icon. When the fullscreen slide show came up, I pressed pause at the first slide, then clicked Show info in the upper right, and all my notes came up in this translucent window. I could go to the next step or back on my own from there using the intuitive navigation. I think if I were following someone else's tutorial this Flickr slideshow would be perfect for me, the visual learner. Please TOTALLY tell me what you think! Leave me comments here or in Flickr comments, but let me know! I am very curious, as a professional trainer, if I did a good job translating my skills to this photo tutorial environment! :) And especially if you sew this up, send me a link to your shirt. More editorial notes are underneath the embedded slide show if you are so inclined to read... So here's the tutorial. I'd been dreading the thought of creating this photo tutorial in Blogger, and my fellow Blogger users know what a treat it is to add, resize, and caption many photos in one blog post! Luckily, I came across a Flickr photo tutorial by a really neat refashionista who operates as Outsapop. She is from Finland, so extra-cool points there. Also, my original intent was to make a an empire-waist shirt like the Grainger shirt from January, but every men's shirt I've reconstructed is different enough to present different options. This one was long enough to be a dress, unlike the Grainger, and I like the tent-y shape of this dress. So I added a couple of suggestions in the tutorial for other ways to finish the garment. I wanted to refashion one of the many plaid options in my men's dress shirt stash, but it is so much easier to see and photograph chalk lines on plain, light-colored fabric, so I chose this yellow oxford instead. "This tutorial will be most helpful if you have at least an advanced beginner's sewing skills and vocabulary. I won't teach how to sew here, I am just sharing how I make these shirts in case you'd like to try your hand at it." I am so excited about this. I have a mans shirt with the best fabric and I definitely want to play up the femininity of its floral and this will be perfect. Now I just need another man's shirt to play around with first. Thank you! that is so cool! I would have never come up with this. thanks for sharing! Thanks for this. I love big men's shirts and this is a great visual tutorial on how to reset the sleeves, which is something I'm trying to figure out. What an A++ visual tutorial! Very detailed. I have it bookmarked. I'm eyeing a shirt of my husband's, the collar and cuffs frayed. It's in the rag bin, but I think, it will be perfect for practice! Such an awesome tutorial, so informative and I love the style of your end result. Great pictures too, they look very professional. super awesome tute! I followed your instructions for viewing the flickr slideshow + notes, and it worked really well. I have been wanting to make myself a shirtdress for a while, and will definitely keep this project on file for the next time I am feeling extra crafty (and also when I get all my materials together). Thanks again for the fabulous tutorial. OMG, I just spent a while looking through your archives (I only *just* discovered you via craftzine) and I am totally inspired now, even more than before. keep up the great work! I love how you set this up with the notes and the photos, it's fantastic! I'll be linking. Antoinette, I am just in awe! Having seen this cute little number in person I can attest to it's true success as a garment. Bravo! Congrats again on the Craft mention. So exciting! The photography is really attractive and the instructions are really clear. First rate job, instructor! I love it!!! I have spring fever & am going to make myself one this weekend! i like hairstyles.i like hairstyles i want to say that i can serme whole life to the hairstyles i can easily do this i like.hairstyles are a primitive one and often linked with the popular and demanding styles in 60s and 70s both in men and women. A parallel hairstyles approach is still followed for girls and women in modern hairstyles hairstyles amazing hairstyle with a little untidy that confers a rock & roll look to your hair. This curly hairstyles. short hair styles style has gone through slight changes over the time. Unlikely to older styles. Very nice tutorial. I'll be following you all in the pants sew-a-long-ish (lol). Wish I had had the time to start with you. Oh wow. I'm so excited about this! I don't have time to watch it right now....but I will and will get back to you. GREAT idea! Looks good to me! Took me a couple attempts to figure out how to get the captions on there, but once I did, it looked like everything is explained very well. (And I love your "coffee break" instruction!) Good to know about the flickr slideshow tutorials too, in case I get in the mood to make one. Hopefully working on a men's shirt refashion today, btw...though I'm hoping to use a BWOF pattern for it so it'll partially depend on in the pattern actually works for it! I haven't had time to look at the tutorial--I am going to watch it this weekend. Been kinda crazed this week. Waiting for a quiet moment! Can't wait!! I will report back. Great tut, I'll be giving it a go as soon as time allows! You totally inspired me! Thanks so much! I created my own (very different) version today and linked to you on my blog. And CONGRATS on the Craft blog mention--this is your second such recognition I believe--you are famous!! That was GREAT.You are sew cool! I want to do this.Thanks for sharing. Thanks so much for the inspiration! I just came across your blog via the whipup newsletter, and I can't wait to look at all of your past posts. I think I will be a regular visitor from now on :) I had a question about the french curve template used for the armholes. Have you referenced those in past posts on your blog? Do you just pick up a set of them, or is there something you should look for to fit your size? More info or a link to more info would be really great for me! Also, I did a quick google search and it looks like they are used for many applications. Is there anywhere that has the templates online that could be traced and cut out from quilters plastic? Thanks! hello, Im so glad I came across your blog. I'm a beginner and I've made several attempts to sew "something" and end up with nothing :-p I really like your tutorial.. looks so easy. I notice you have different kind of sleeves,Where can I get pattern for the sleeves? This is very helpful, I have a heap of mens dress shirts that I'm in the process of refashioning and I've been trying to figure out some of the details that you photographed. Joan - can't click through to your email or profile, so here's the word on the sleeves: I pick sewing patterns for shirts I've sewn where I like the style and fit of the sleeve. Simplicity has most of my favorite sleeves, so I usually use the sleeve pattern piece from one of those patterns. S4077 and S4179 have two sleeves I like a lot. Hope this helps! I really like the puffy full sleeves. Which pattern do you use for this look? LOVE this shirt. I've been looking for inspiration and help with ideas on recons for men's shirts, and came across your blog. Thanks to you, I was able to do this: http://kaleandclover.blogspot.com/2009/06/mens-shirt-recon-into-womens-blouse.html. I'm looking for a recon to create a top/dress with 3/4 to full sleeves. Any ideas? Hi, I can only see 3 photos, for some reason. There should be 33 photos, right? Thanks for sharing this tutorial. I was very impressed with the presentation and content. This worked well. Thanks. hmm, not sure my comment went through -- grrrr internet! 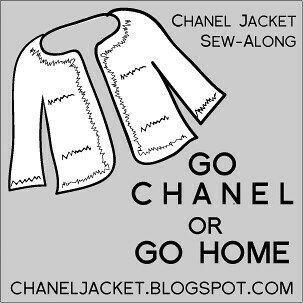 anyway: Just wanted to let you know that we've included this on dabbled.org today for our clothing refashion roundup... thanks for sharing this great idea! Three cheers for this great tutorial. Now only to find your tools. I tried my hand at refashioning one into a top and am super disappointed with the armholes. They are too large and I did not allow enough room for my hips, so it became a shirt, rather than a dress. How do you recommend I make the curves without the proper tools? Thank you so much for inspiring us. I'm about to try this, I'll let you know how it goes! Thanks for this. I love big men's drawstring pants and this is a great visual tutorial on how to reset the sleeves, which is something I'm trying to figure out. I love how you set this up with the notes and the photos, it's fantastic! I'll be linking. This is so cool! I love long dresses, but I prefer them on dark colors. I would definitely wear a dress like this. A fantastic read….very literate and informative. The shirt is flawlessly done. I like it! I'm gonna try it the soonest time I could and we'll see if I could sew as good as you could. hello nice web site I am constantly looking online for tips that can assist me. Thank you!